Although much has been written about innovation in the past several years, not all parts of the innovation lifecycle have been given the same treatment. 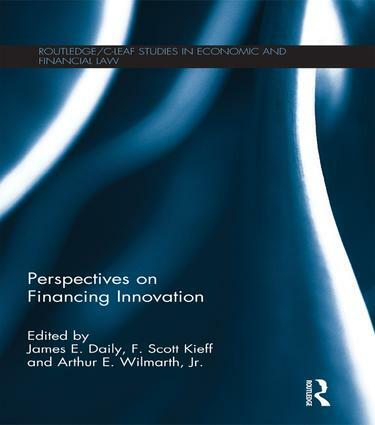 This volume focuses on the important first step of arranging financing for innovation before it is made, and explores the feedback effect that innovation can have on finance itself. The book brings together a diverse group of leading scholars in order to address the financing of innovation. The chapters address three key areas, intellectual property, venture capital, and financial engineering in the capital markets, in order to provide fresh and insightful analyses of current and future economic developments in financing innovation. Chapters on intellectual property cover topics including innovation in law-making, orphan business models, and the use of intellectual property to protect financial engineering innovations and developing intellectual property regimes in Brazil, Russia, India, and China. The book also covers the tax treatment of venture capital founders, the treatment of preferred stock by the Delaware Courts, asset-backed lending hedge funds, and corporate governance for small businesses after the Dodd-Frank financial reform bill. The bookwill be of interest to scholars, practitioners, and students in law, innovation, finance, and business. ByJAMES E. DAILY, F. SCOTT KIEFF, AND ARTHUR E. WILMARTH, JR.